Heating systems, cooling systems and sewer systems all require drain lines. Whether you need a drain line repaired, replaced, maintained or installed, Downey Plumbing is here to provide exactly what you need. 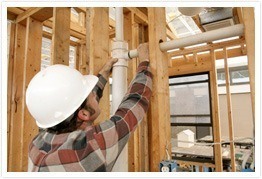 Our expert drain line technicians are available to assist you in your residential or commercial property. Downey Plumbing will help you determine exactly what drain lines you need installed for new installations, or help keep your current drain lines properly maintained. Regardless of where you are in California including Downey, Pico Rivera, Long Beach, Paramount, Commerce, South Gate, Lakewood and Bellflower, Downey Plumbing is ready to serve all of your drain line needs.